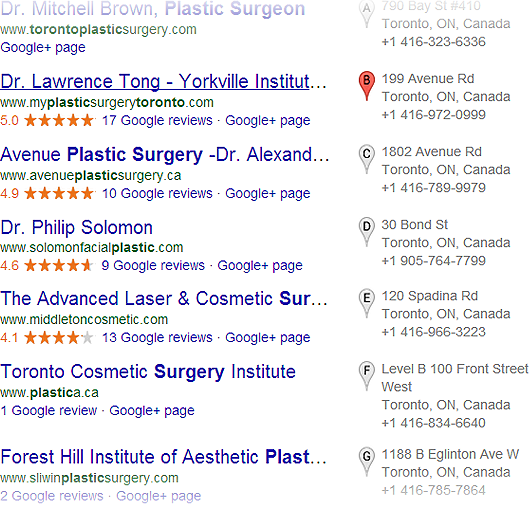 Get your business found in local search results! If you’re a business that deals mainly with the local community, then local business optimization is for you. TechWyse are experts in Local SEO and Google My Business placements. What is the value of local SEO? The result for these searches is what’s known as a “local pack.” These search engine results are much different than the regular 10 blue links that we’re used to seeing. Local pack results often contain a map pin marker, address, phone number, and reviews. TechWyse will implement a number of factors that determine how a site will rank organically on local listings. Factors like the searcher’s location, NAP (name, address and phone number), how relevant your business is to the search, how well your website is optimized and, most importantly, how accurate your address citations are around the web are all taken into consideration by Google - and TechWyse takes control of it. NAP stands for name, address, phone number. NAP consistency is highly important for strong local listings. Google takes this information from around the web and uses it to get an accurate listing of your business. We make sure your website, listing and NAP citations are optimized to that you have maximum visibility in search results. We’ve been experts in local search advertising since the beginning. From Google Places, to Google+ Local, to Google My Business, TechWyse knows local business advertising. 866.410.7090, or fill out the form below! Why is Local Business Advertising (Google Local) a monthly service? Our team works to build citations on a monthly recurring basis to get your listings found in popular directories. What does this do, exactly? It strengthens the ranking of your local listing, making your Local Business Listing more powerful than ever. Why is Local Business Advertising a different service than SEO? Do I need both? Local Business Advertising adds another layer of strength to your online marketing presence. Our team builds your SEO as a ranking signal for Google, but the citation building and cleanup we do with your Local presence helps you stay in good standing with them as well! What is the difference between Google Places / Google+ Local and Google My Business? Google Places (or Google+ Local) are the old names for what is now known as Google My Business. It helps potential customers find you and allows the public to rate your services and products on a five-star system. Google My Business has gone a step further by providing tracking metrics on how well your local listings are performing. If you have more than one location, our Google My Business experts can set up multiple listings to ensure that each location is optimized and easily searchable online.